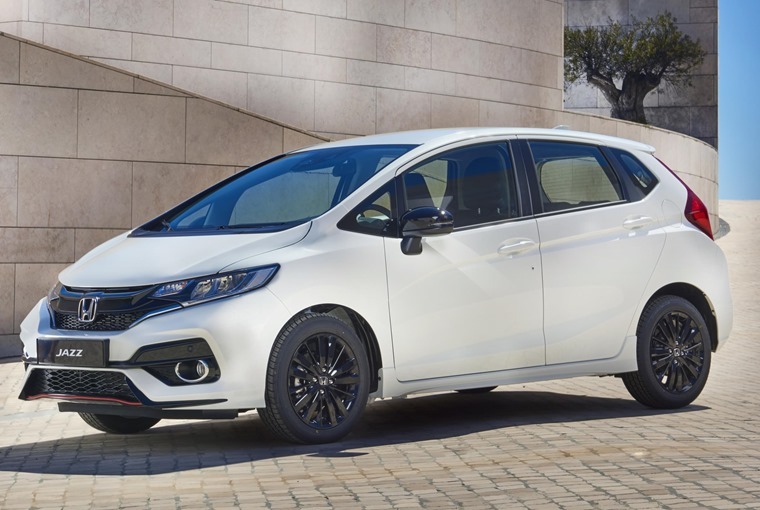 Honda has revealed an updated version of its Jazz which will make its public debut at the Frankfurt Motor Show next month. It gets styling tweaks plus an all-new trim level featuring a more powerful petrol engine. On the outside changes are few and far between, but the eagle-eyed will notice there’s a fresh front grille, while new LED lighting signatures and a more angular bumper give it a more serious demeanour than before. There’s a new rear bumper too, which now gets gloss-black highlights and further adds to the car’s more aggressive look. 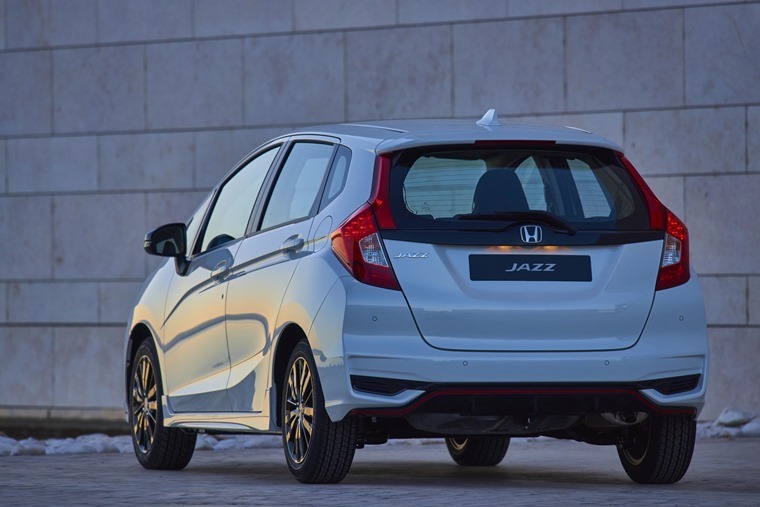 For those wanting an even sportier-looking Jazz, a new ‘Dynamic’ trim level (pictured) has also been added. Plump for one of these and you’ll get front and rear diffusers, a body kit with larger side skirts and an additional rear spoiler, 16in black alloy wheels and contrasting red exterior trim. The interior has actually seen less changes than the body, but the new Dynamic trim offers a sportier-looking set of trim pieces, a leather steering wheel and gear-knob with contrasting orange stitching. 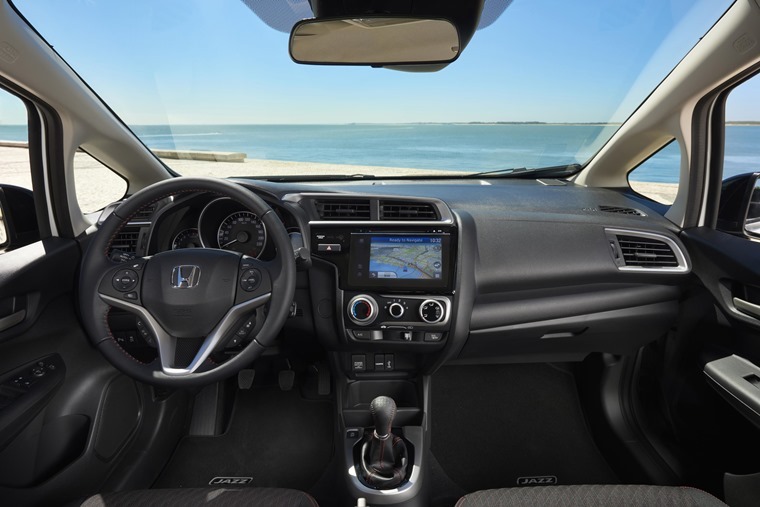 Standard equipment for the Jazz range includes cruise control, automatic headlights and automatic emergency city braking system, while Dynamic models also get a 7in infotainment system, rear parking camera, keyless ignition as well as a host of extra safety kit. 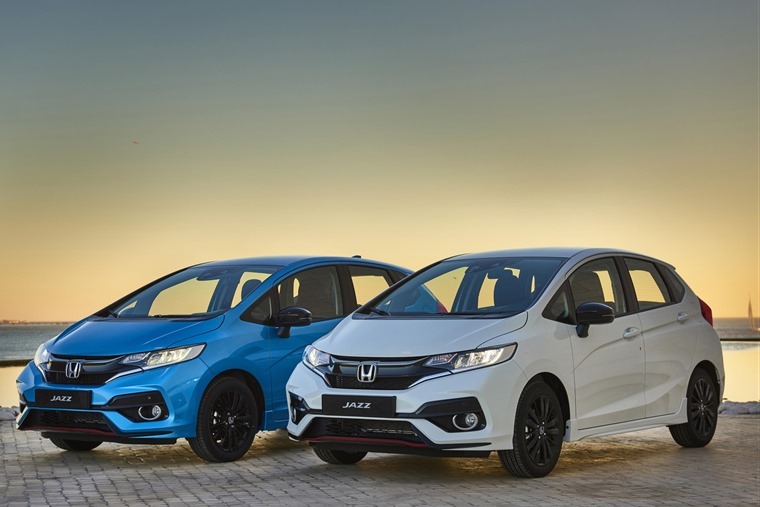 The Dynamic will also be the most powerful Jazz to date, and will be available with the exclusive option of an all-new 128bhp 1.5-litre petrol engine. We’ll have to wait for the car’s reveal in Frankfurt to learn performance figures, although Honda has let on that it’ll achieve 52.3 mpg (combined cycle) and produce 124g/km of CO2. UK order books for the updated Jazz will open in November, with the first customers receiving their cars in early 2018. If you can’t wait until then, check out these deals on the current Jazz for less than £150 per month.